This groundbreaking new book explores the many rewarding relationships that the writer Oscar Wilde enjoyed with a series of fascinating and accomplished women throughout his life. The whole world is fascinated by Oscar Wilde, yet his life is constantly defined in terms of his relationships with men and this imbalance is rarely challenged. The rise of the ‘New Woman’ movement coincided with Wilde’s popularity and a group of free-thinking, influential and accomplished women coalesced around him. The first of these was his delightfully eccentric and accomplished mother, Jane. When he toured America Oscar was often introduced as her son. They shared tragedy when his sister Isola died in childhood. Oscar was distraught and kept a lock of her hair for the remainder of his life. His friendships and collaborations with Lillie Langtry, Sarah Bernhardt, Louise Jopling and Ellen Terry had a profound effect on his work. Women funded, informed and inspired his writing, and gave him access to vital publicity. He based some of his most memorable characters on them, reflecting their language, ideas and lives in his deadly serious social comedies. As radical editor of The Woman’s World, Wilde commissioned articles concerned ‘not merely with what women wear, but with what they think, and what they feel’. Long before he turned his attention to men, Oscar loved a series of beautiful women. Florence Balcombe abandoned him for Bram Stoker but his wife Constance, an influential and accomplished woman, showed remarkable fortitude and loyalty when faced with his intolerable infidelity. Meticulously researched and using rarely examined source documents this book puts the women back into Wilde’s life and allows them to shine. "A lively debut biography…sharply drawn portraits of a colourful cast of characters...A brisk, sympathetic look at an understudied aspect of Wilde's eventful life." "Fitzsimons has produced a thought-provoking and illuminating read that is sure to offer new lines of thought for even the most knowledgeable Wilde fan. Thoroughly readable and accessible, this is a must for students of Wilde of those who just have an appreciation of the man and his work. " "I adored this book. It’s a fascinating, readable account and is stunningly well written. " "illuminating study of Oscar Wilde's life… Fitzsimons does a fascinating job of reminding us that it wasn't just the men in Wilde's life that raised him up and brought him down, but that this troupe of exceptional women played their part too. " "A well-written, deeply researched, and detailed biographical portrait of the many women in Wilde's life, from his mother and wife to actresses and socialites." "Even if you think you know all about Wilde, this highly entertaining book, packed with fascinating detail and anecdotes, will still surprise you." "Eleanor Fitzsimons is to be congratulated on finding a new and eminently profitable angle from which to approach him [Wilde]: the women who were so uncommonly significant in his life." "Highly enjoyable and generally reliable." "I’m hugely grateful to Eleanor for sharing this book with me, it’s been a joy to read and is meticulously researched. 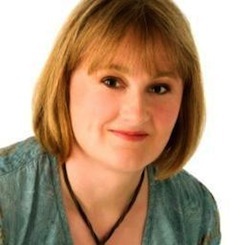 You can feel her passion for the subject leaping from the pages, and it’s contagious! " "A remarkable book… the breadth and depth of research is astonishing." " a refreshing approach to a familiar life story - an approach which could profitably be taken with other literary figures, who have been judged, generally speaking, by their relationships with men." "I can guarantee that however much you thought you knew you will learn something more from this book." "A vital new portrait of Wilde, seen through the eyes of the women he knew… opens up visions of a man who will forever surprise and astound us in the reach of his intellect, as well as his wit." " Vivid, compelling and crammed full of interesting anecdotes." "Worthy and useful addition …provides fresh insights and entertaining asides…brings some interesting figures from Oscar’s world into rewarding new focus ." "Charting Oscar’s life, Fitzsimons paints a series of vivid portraits of some of Oscar’s female friends and acquaintances, as well as providing sketches of a society in which women were beginning to emerge as influential cultural figures in the form of patrons, writers, performers and more...one of the strengths of Fitzsimons’ work is that she also revives some talented women who have quite simply been forgotten...Wilde’s Women, as much as it is intended to reveal Oscar in the light of his female contemporaries, also illuminates a moment crackling with a sense of possibility for women...what is genuinely revelatory is the extent to which those women outside his immediate circle were also affected by his downfall...Wilde’s Women captures powerful female voices and portrays a group of bold and fearless women who stood by their beliefs and by Oscar when many others would not." "This is the work of a lifetime and a labour of love from Fitzsimons who has tracked down and ascertained the reciprocal influence between Wilde and the major (and many minor) women in his life." "An extremely well-researched and accessible biography, which is also an entertaining read. … This biography is full of wonderful anecdotes about some of the most dazzling society figures of the day and contains some beautiful photographs, as well as many previously unknown facts about Oscar Wilde." 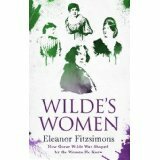 "Wilde’s Women is a welcome and excellent contribution to this growing genre of studies of the women affiliated with (and not, as the old saw goes, "standing behind”) Great Men...Fitzsimons does a superb job of demonstrating how central Constance was...Fitzsimons is equally strong and perceptive in her handling of perhaps the most dominant force in Wilde's life i.e. his mother...For Wildes Women, Fitzsimons has unearthed an impressive range of accounts by Lady Wilde's contemporaries....Readers will be most grateful to Fitzsimons, however, for the capsule biographies of the numerous women, some but no all of them lesser-known figures, who surrounded Oscar Wilde ...short and illuminating references...Both academic and popular audiences should be grateful to Fitzsimons for raising and responding to them [interesting and essential questions] in a fashion that is as consistently entertaining as it is sound and scholarly."